Long before they said their “I dos”, there seemed to be something different about royal couple of Prince Harry and Meghan Markle. Besides her neither being British or a royal, the duo seemed quite affectionate towards each other, especially in public. READ ALSO: Duchess Rule Book: Is Meghan Markle Getting Schooled About Being Too Emotional In Public? In addition, their little gestures of affection only seemed to increase, as the days drew close to their wedding. Usually, Meghan was the one initiating physical contact in their delightful public displays of affection. And it may be on the rise now they are married. 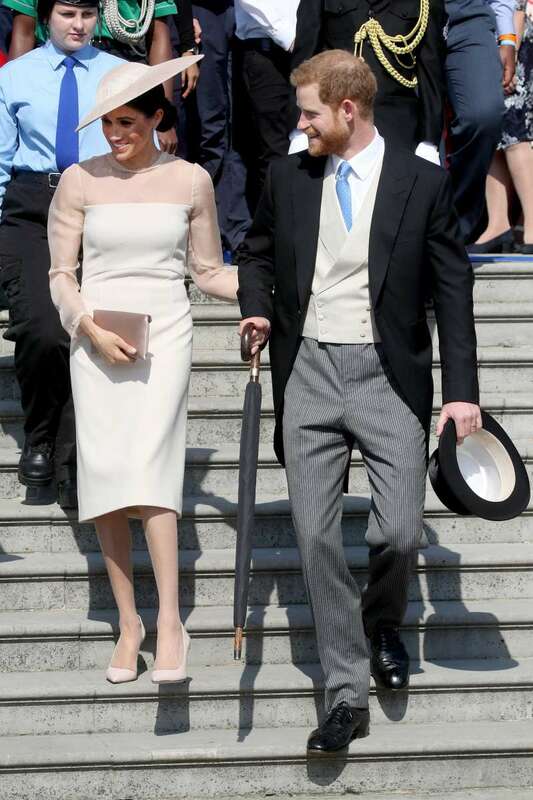 For example, when the duo attended the 70th birthday patronage celebration for Prince Charles at Buckingham Palace on May 22, Meghan was not just all smiles. Walking into the palace, she let go of Prince Harry’s hand and gave him an affectionate backrub that got the internet ablaze. 1. the downright adorable way meghan markle rubbed harry's back today??? 2. are you? seeing this? body language??? 3. it's the only thing that matters. Some fans of the royal family have even begun giving her nicknames to reflect affinity for PDA. One such nicknames is “the duchess of affection and comfort”. This is not to say that the duke, Prince Harry, does not show affection too. the duchess of sussex? more like the duchess of affection and comfort, amirte ladies? 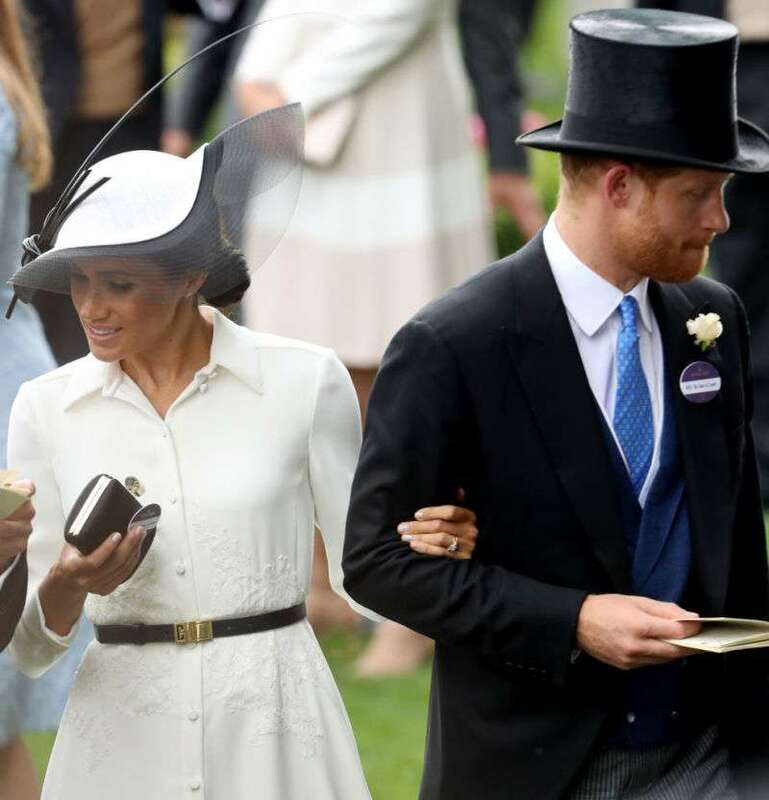 On Tuesday, the new couple attended the Royal Ascot, their first official attendance at the event as Duke and Duchess of Sussex to the delight of fans. At the end of the horseracing event, the duke presented a trophy to Frankie Dettori, who won the St. James's Palace Stakes. READ ALSO: Queen Elizabeth II's Cousin, Lady Elizabeth, Thinks Prince Harry And Meghan Markle Showing PDA Is "Just Adoring"
While the presentation went smoothly, sharp photographers caught another PDA of the couple. This time, the duke initiated it. While he leaned forward to congratulate the winner, it seemed he could not let go of the duchess’s hand. Eventually, their fingers remained almost intertwined, and the duchess was all smiles while it happened. It is a bit surprising that the duke and duchess get away with PDA on a regular basis, as unwritten royal rules frown upon the practice. And it seems the Duke and Duchess of Cambridge tend to keep to the rules more than the new couple. Although they seldom show affection in public, Prince William and Kate Middleton do sometimes hold hands or show other signs of affection. 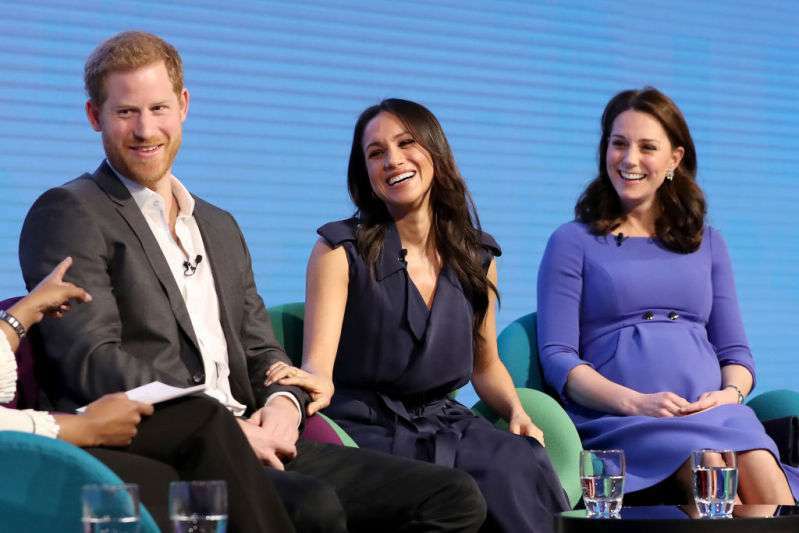 Like their marriage, it seems like PDA in the royal family is the new trend, and in spite of unwritten rules, it is not going anywhere anytime soon.